Keep track of every dollar with our financial dashboards and reporting templates. A profit and loss statement (P&L) is a financial statement that summarizes the revenues, costs and expenses incurred during a specific period of time, usually a fiscal quarter or year. The P&L report is prepared as frequently as managers need them, usually monthly or quarterly. A P&L report goes to the manager in charge of each profit center; these confidential profit reports do not circulate outside the business. Like most businesses, retail banks are constantly looking for ways to improve their revenue. Hence, these organizations measure their various sources of income in order to see which products or services have room to grow. This BI solution helps increase revenue and identify opportunities for revenue growth. 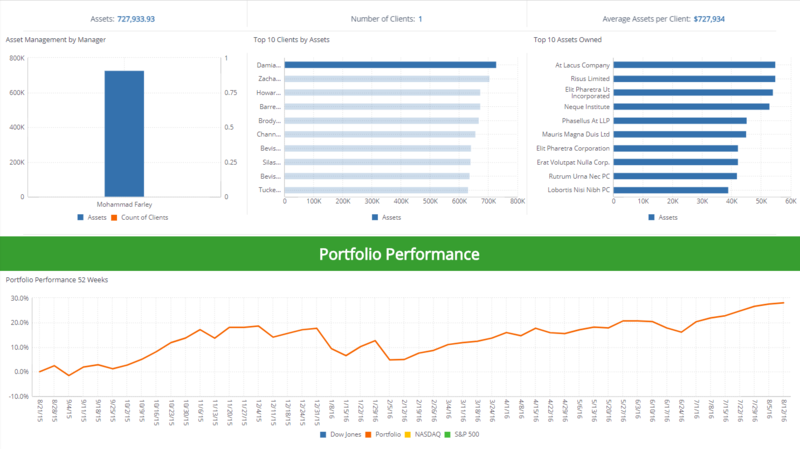 The investment portfolio dashboard is meant to keep investment managers up to date with portfolio performance and allocations. The data will allow managers to change allocations on the fly as well as keep their clients informed on performance. 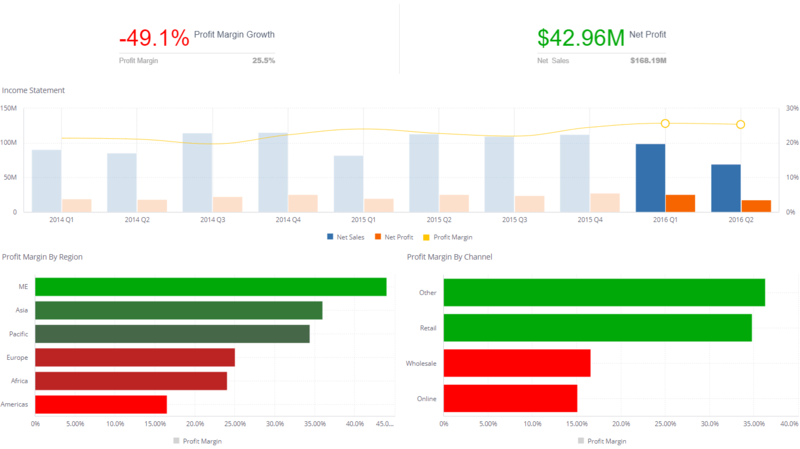 The goals of this dashboard are to report and analyze stock trends to better allocate future investments, and to understand the market and the direction it is heading. Scorecards are used for comparing an entity to a benchmark for monitoring and measuring performance. Personal expenses are hard to keep track of due to a large number of transactions. In order for one to know in which areas it should be easier to decrease, one needs to take into consideration also the standard cost of living which is done in this case by comparing to the benchmark. For any crowdsourced-based business, tracking campaign market trends over time and uncovering drivers of success is essential for long term revenue security. Insights are used to shift resources towards promising markets and empower customers with valuable information. 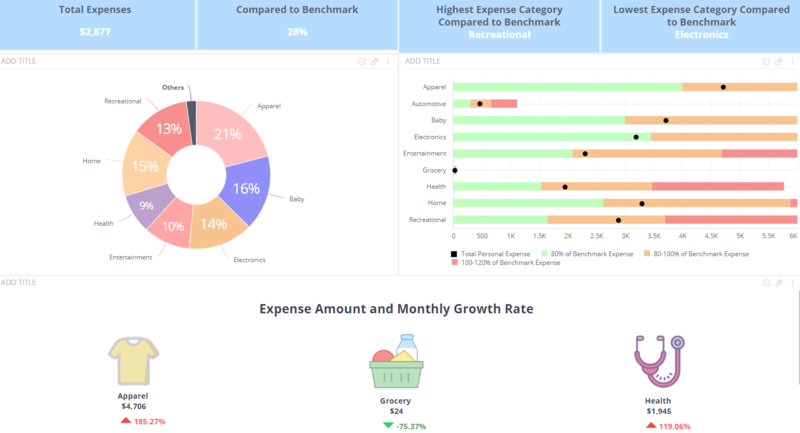 What is a financial dashboard? 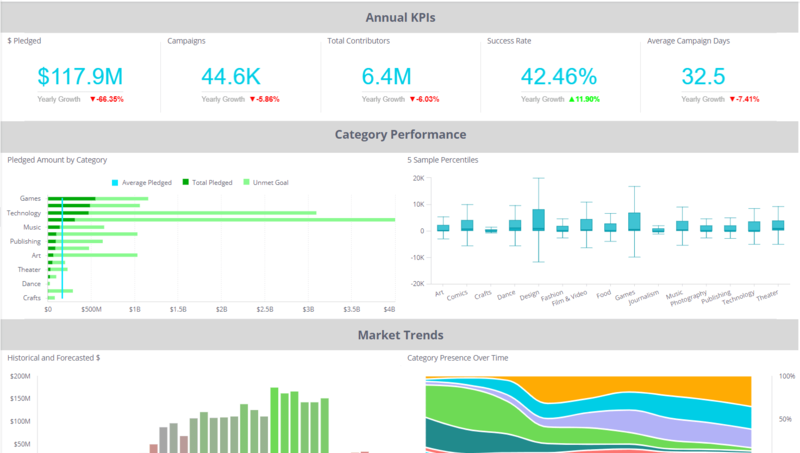 A financial dashboard provides users with an instant visual representation of their financial KPIs. 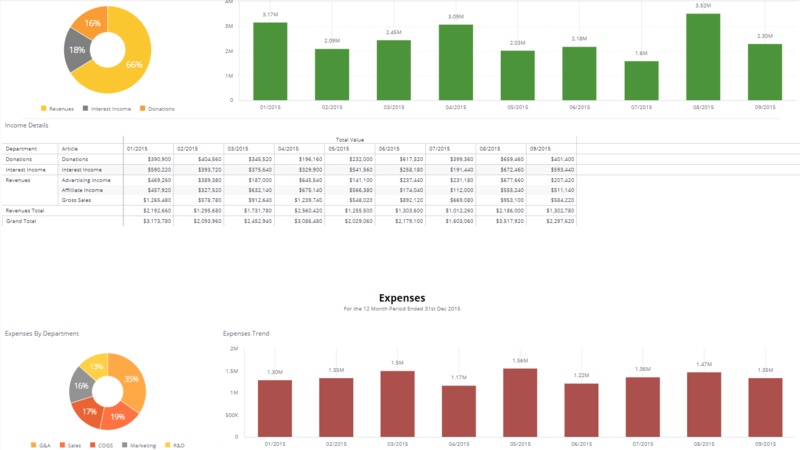 Sisense’s financial dashboard examples allow finance departments to track and monitor the company's expenses, profits and sales in real time as well as easily identify areas that require immediate attention. 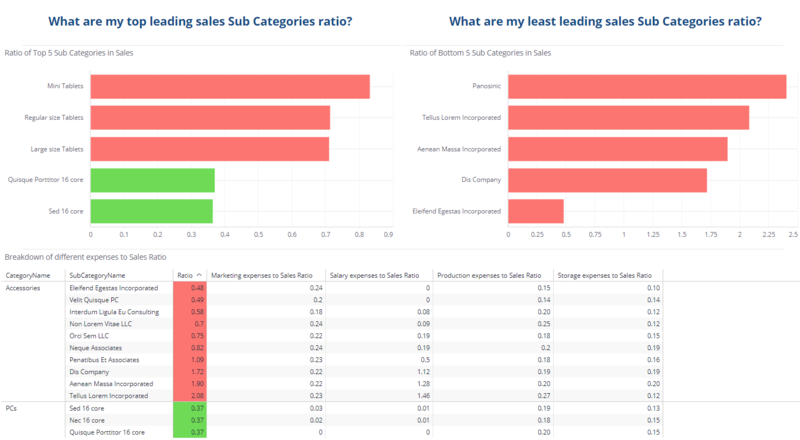 A thoroughly thought through financial dashboard reports can save your organization a lot of time and money.